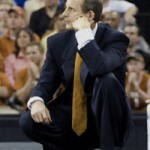 The solution for Texas basketball is simple, but it ain’t easy. 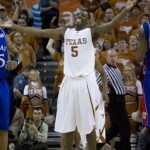 Texas dropped its third straight basketball game, falling 58-55 at Nebraska. 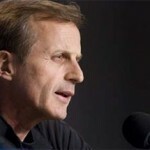 Texas basketball coach Rick Barnes discussed the state of his team. 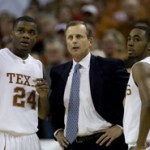 It’s official: Texas basketball is in a recession with no bailout in sight. 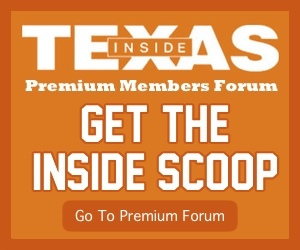 Has Texas basketball regressed since posting non-conference wins against UCLA and Villanova? Horns battle back from big deficit to force overtime, but recurring problems lead to home loss. IT’s Ross and Bill discuss recruiting, the hoops team and Garrido’s suspension. Abrams picked a good night to break out of a scoring slump. 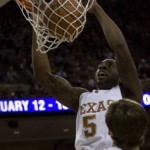 Damion James scored a season-best 28 points to muscle Texas past Texas A&M, 67-58.